I haven't thought much about Johnny 5 lately. I was 12 years old when I first saw "Short Circuit" and I loved it. The Stonecutters were right to make Steve Guttenberg a star. 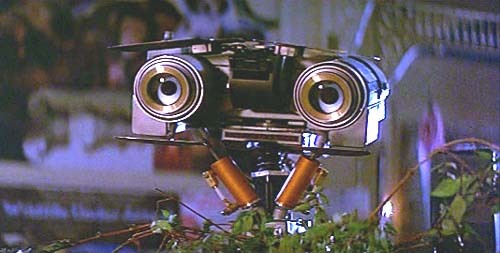 The best part of "Short Circuit" was Johnny 5. Johnny 5 was number 5 of a group of experimental robots in a lab who was electrocuted, suddenly became intelligent, and escaped. There was a sequel, which wasn't as good even though it was shot in Toronto, but it's been about 20 years since I spent any time with Johnny 5. Thanks to Pixar, that's all changing this summer. Johnny 5 was the first thing that popped into my head too. The movies are a guilty pleasure and I think I loved them mainly for the Toronto landmarks (like when Johnny 5 is flying above the city, etc.). I read online they are remaking the movie, which I suspect is going to lead to much irony when this generation's kids think Short Circuit is a rip off of Wall-E. I was thinking Johnny 5 too. Stupid movie but I liked it. Johnny 5 was the first thing I thought when I saw a picture of Wall-E.
Who was most known back then for dating Michelle Pfieffer. Wall-E also equals to E.T... there's definite influences from both films in this one. 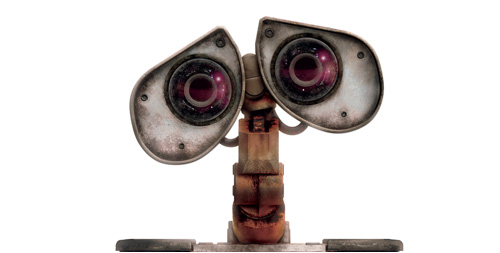 Wall-E gets a 10 out of 10 on my rating scale.